I received the product so fast..day and a half and already have completed the henna color last night(Burgundy). I didn’t see any other email on your site except this one to send before & after photos..! :) so I wish you do post them to your site…because I started out all bleached damaged blonde and ended up with dark burgundy in just one hour. I went to 12 different doctors and the emergency room before finding and talking to the folks here. I did not know chemical hair dye was giving me a bad reaction. The bad reaction was me not being able to swallow. Thank you Harvest Moon and Rodney for helping me find such a wonderful solution! Thanks a lot I love it and will order once a month ! 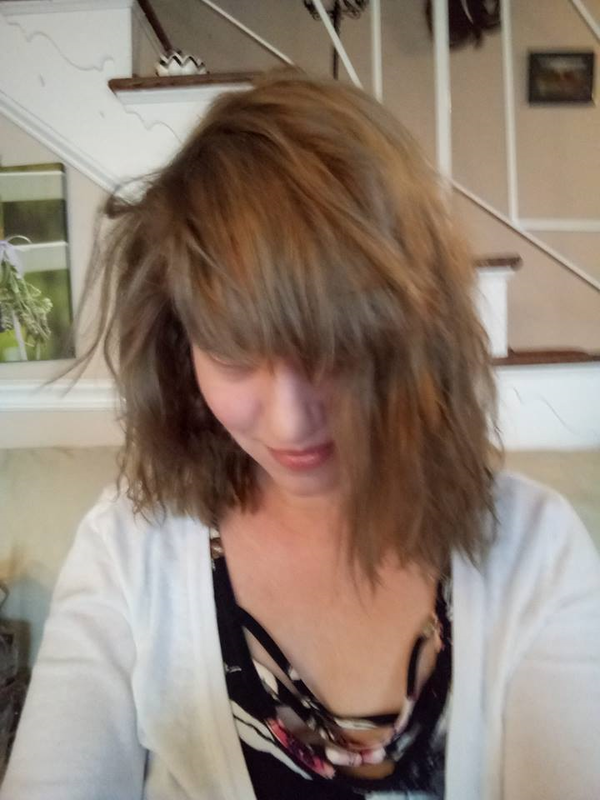 I include 3 photos…#1.before henna…(did eyebrows too)#2 one hour after,hair still wet and indoors nighttime,#3…next morning,(this morning) by window, sunlight and color darkened. I followed the instructions to lighten your hair naturally in 48 hours and boy did it work! I then used the ash brown and was in happiness shock when I saw my final results!